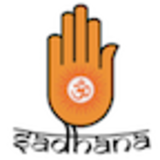 You may receive updates from Sadhana: Coalition of Progressive Hindus, the creator of this form. “[Hindus] must give a new doctrinal basis to your Religion—a basis that will be in consonance with Liberty, Equality and Fraternity; in short, with Democracy. I am no authority on the subject. But I am told that for such religious principles as will be in consonance with Liberty, Equality and Fraternity, it may not be necessary for you to borrow from foreign sources, and that you could draw for such principles on the Upanishads." "The meaning of being Hindu must not continue to require the demeaning of another human being." We, Sadhana Coalition of Progressive Hindus, deeply apologize for the violence, injustice, and indignity that the beliefs, practices and structures of caste and untouchability have inflicted, and continue to inflict, on diverse so-called “lower caste” communities. We acknowledge the inhumanity and oppression of the caste system and the fact that it continues to be legitimized by many of our traditions and practitioners. We acknowledge the fact that millions experience our tradition as oppressive and as negating their self-worth and dignity as human beings. We must cease all defensive and apologetic justifications of the caste system and especially those that explain the system as a creation of foreigners or as a response to foreign presence on the Indian subcontinent. The fact is that, as early as 400 CE, the practical manifestations of caste, including physical segregation and prohibitions on socializing and intermarriage were firmly in place. We Hindus are not exempt from the corruption of affirming self-value by devaluing and exerting power over others. We must take responsibility for the physical and psychological violence perpetuated by caste practices. We welcome the changes taking place in India as a consequence of democracy, freedom, progressive legislation, feminism, economic growth, educational opportunity and the increasing political activism of Dalits and other marginalized groups in the public sphere. However, it is also true that the phenomenon of caste and untouchability persists and too many Hindus continue to define the meaning of Hindu identity over and against those who are regarded as impure and unequal. We know that constitutional and legal measures, as necessary as these are, have not and will not eliminate all forms of discrimination based on inequality and on religious beliefs about purity and impurity. We understand caste to be rooted in the more fundamental and universal human problem of ignorance (avidyā). Ignorance manifests in our treatment of others as objects of possession, and through exercising power and control over them. In the condition of ignorance, we believe falsely that human worth is a finite value and that we add worth to ourselves by denying the worth of others. The consequence is that we see caste-like structures and practices across South Asia and in the diaspora, and also in South Asian Muslim, Christian, Sikh, and Buddhist communities. We recognize that legal and other measures must be complemented by a vigorous and unequivocal theological repudiation of caste. The beliefs about human inequality, purity and impurity that are offered in defense of caste, whatever their sources, must be rejected. We affirm and embrace the Hindu teaching that the divine exists equally and identically in everyone (Bhagavad-gītā 13:28). This teaching, widely shared by Hindu traditions, is the source of our belief in the equal worth and dignity of all human beings. It is also the ground for our repudiation of caste. We cannot honor and value God and devalue human beings. We cannot give our assent or support to any religious, social or cultural system that is founded on human inequality and indignity. We are inspired in our struggle against caste by the long line of teachers in our tradition who protested caste as a betrayal of its highest teachings and who challenged its injustices. We offer this apology for the suffering that we inflict, cognizant of the work that still lies ahead to overcome caste injustices. Caste assumptions and practices are pervasive and are conveyed through religious ritual, teachings and social norms and practices. We have an urgent responsibility to identify, challenge and transform all such expressions of caste that are oppressive and dehumanizing. We must lift our voices in protest against all practices in the name of our tradition that denigrate other human beings. We must ensure that Hindu leaders take a clear and forceful stand on this matter and repudiate injustice in the name of the Hindu tradition. We invite all Hindus to join with us in this urgent task of advocating for and building communities that are free from caste. Let us work together to overcome the structures of inequality, injustice and indignity present in our tradition. Let us do so by celebrating the truth of God’s presence in all, conferring dignity and equal worth to every human being, and by practicising the virtues of compassion (karuṇa) and generous self-giving (dāna).